The “Metro” tile interface introduced with Windows 8 hasn’t been a popular feature. With Windows 8.1 Microsoft made a change that allows you to boot directly to the desktop. 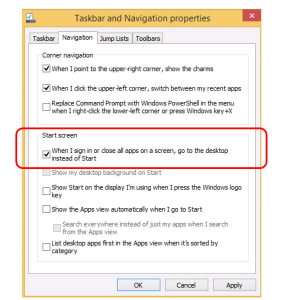 This enables you to bypass the new start menu interface. 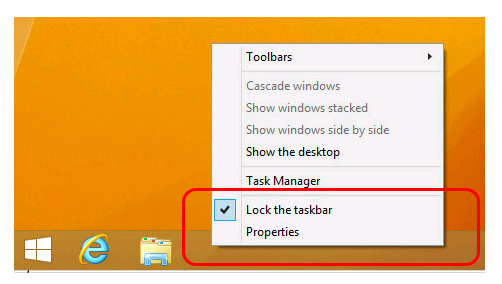 After booting up Windows 8.1 click on the Desktop icon to enter the desktop. 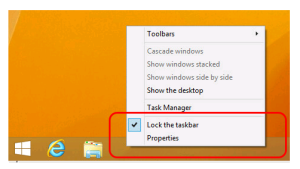 Right click in an empty area of the taskbar at the bottom of the desktop and select “Properties”. 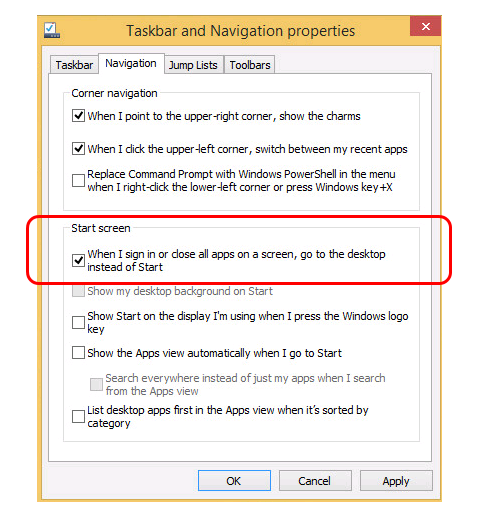 In the “Start Screen” area make sure there is a tick in the box “When I sign in or close all apps on a screen, go to the desktop instead of Start”. That’s all you need to do. Next time your start your PC you will be taken directly to the desktop.